This article is dedicated to my dear cousin, Dr. Edgar Vincent “Gagay” T. Miranda, who passed away last January 21, 2013. 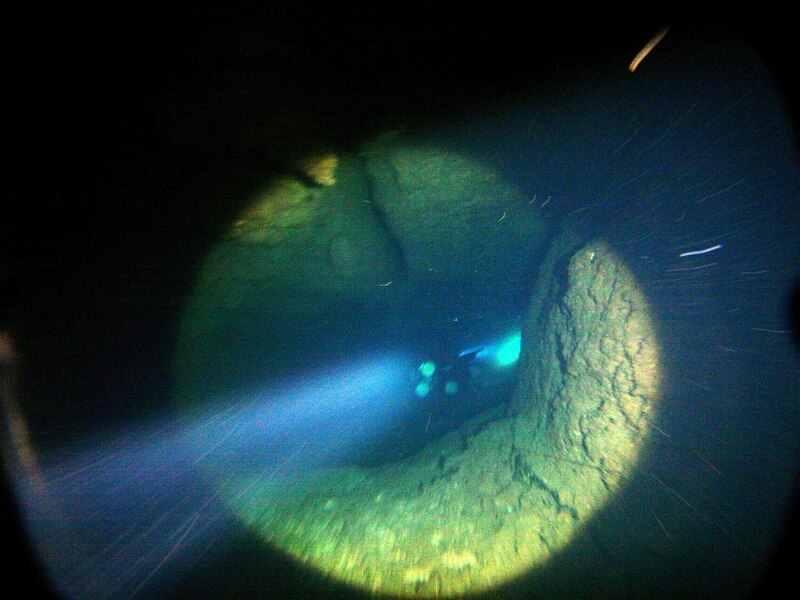 One of the most exciting things you can do in your life is go cave diving in Lake Bababu. Traverse the whole length by entering a cave from the sea, and after an hour of swimming underwater and passing through prehistoric chambers, emerge in a hidden lake of beauty. For decades, cave divers from the Philippines have been looking for large underwater cave systems that could equal their technical skills. The discoveries of Pawod , Enchanted River, and Paglugaban caves have excited foreign and local divers and still the search for more underwater caves went on. 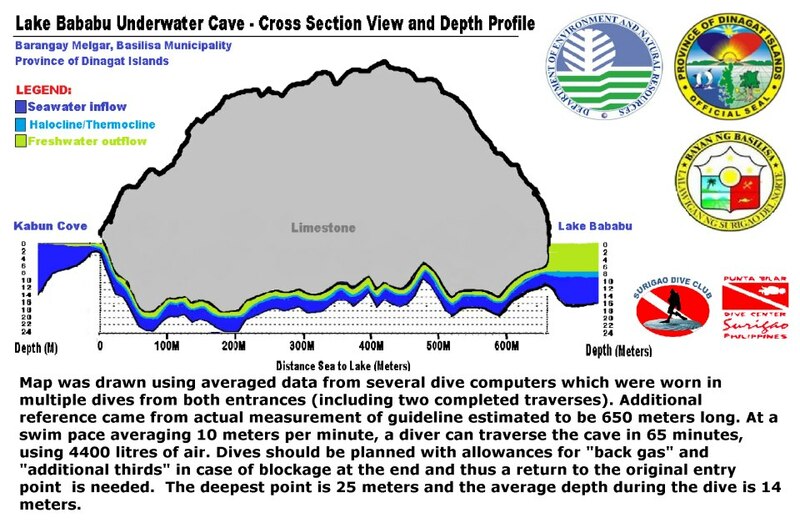 In 2012, a unique cave system- an underwater cave with two entrances was found at Lake Bababu, Basilisa Municipality, Province of Dinagat Island. 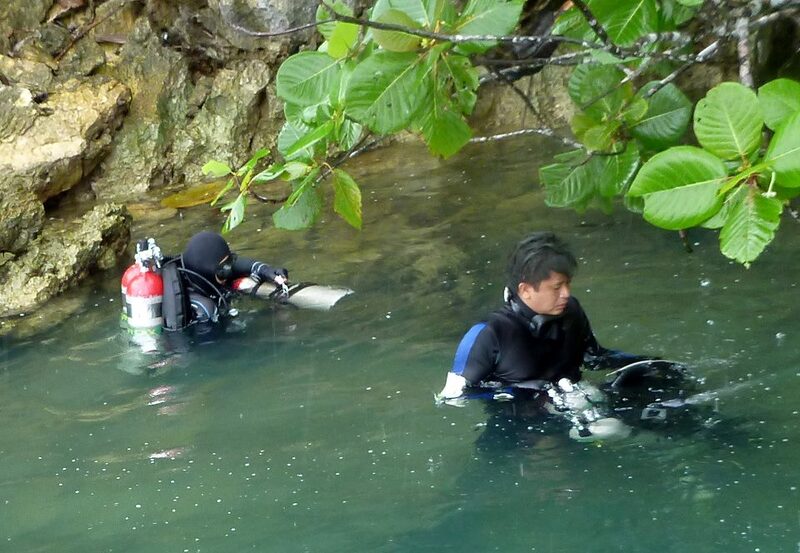 The dive team of Spanish cave diver Xavier Garay and Surigao explorer Lyndon Cubillan first ventured into the underwater cave passage from the lake. On August 28, 2012, they laid almost 1,500 feet of line. 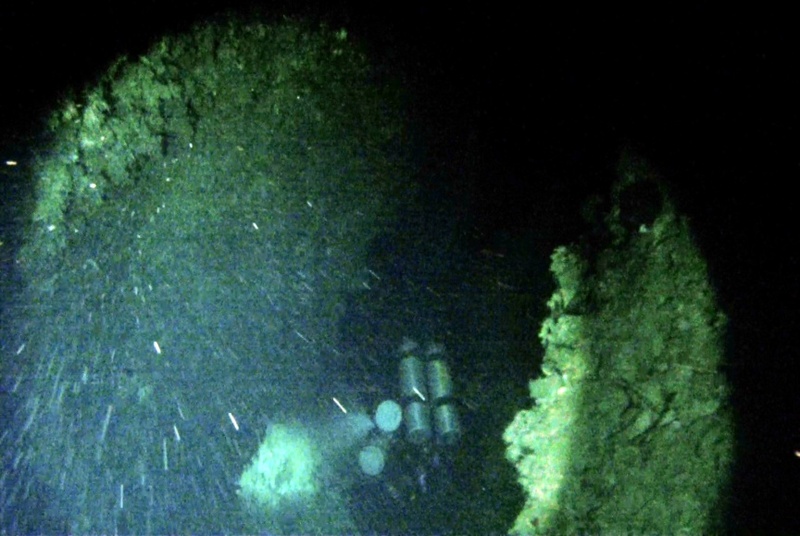 A week after that on September 6, 2012, Xavier Garay and Jake Miranda, another Surigao diver, laid 700 feet of line from its sea entrance and finally connected the cave on September 7, 2012. 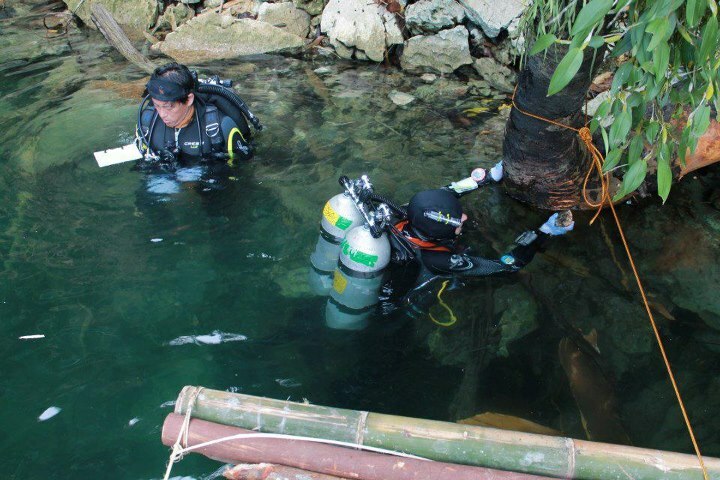 All in all, it took six dives in three expeditions from Surigao City to connect the cave, requiring huge resources from the team of divers, porters, and the Langit family (descendants of Peter Langit who discovered the lake). At an approximate total length of 2,200 feet or 650 meters, Lake Bababu Underwater Cave is now regarded as the longest fully-submerged cave in the country and local officials and volunteer cave divers are currently registering it in the government’s cave list. The cave was formed out of the dissolution of limestone rock from a hilltop depression which found its way to the sea just before the last ice age. Then when the polar ice caps melted and the sea levels rose, the cave was finally flooded by the sea, thus forming a long underwater tunnel. The cave is actually a long tunnel with an entrance and an exit. Depending on where the tide flows, the sea entrance pushes seawater into the lake during high tide, and the lake exit pushes both collected rainwater and seawater when the tide ebbs. Unlike the Palawan Underground River that has an air chamber, Lake Bababu Underground Cave is fully-flooded and therefore is unique in its length, type and origin. 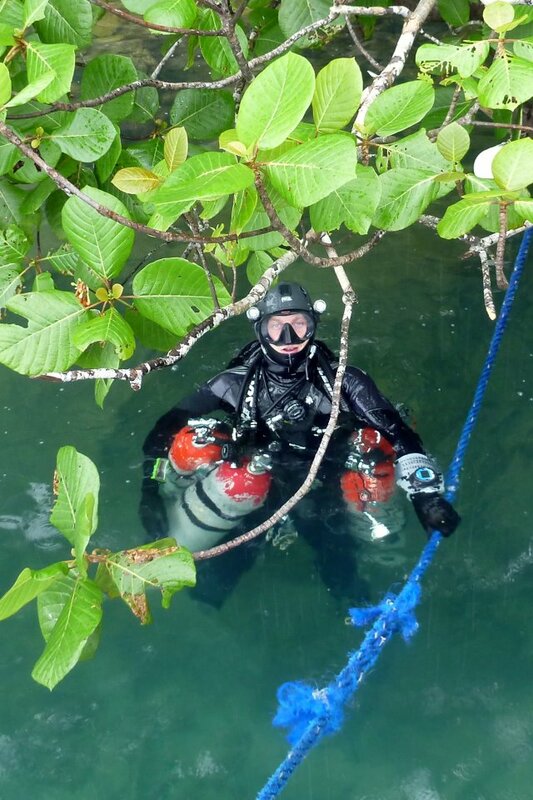 Last January 17, 2013, a multinational cave dive team composed of Jake Miranda (TDI Diver Philippines),Daniel Burgaud (TDI Instructor Trainor-France), Ivar Almjhell (TDI Diver Norway) and Ho Beng Chia (TDI Diver Singapore), made the first successful traverse from the sea entrance to the lake exit. This was the 6th expedition to the cave but the first one to have approval from both the Provincial Department of Environment and Natural Resources and the local government unit. The same team attempted to return to the sea but were turned back by a mysterious current forcing them back to the lake. “I just came back from a cave dive trip in some remote area in Philippines. 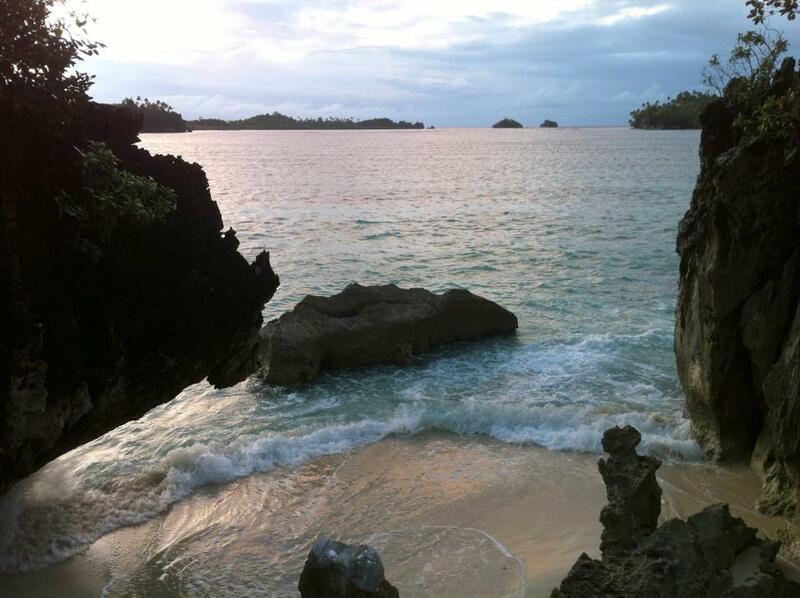 It is a largely unexplored cave at Lake Bababu, in Basilisa, Dinagat Island, off the coast of Surigao. It is a submerged cave that joined the sea to a small lake. The previous teams had laid a line from each entrance and joined in the middle. Our team’s mission was to dive the cave straight through from one end to the other. We successfully traversed the almost 650 meter cave on Thursday (17 Jan 13) morning from the sea to the lake in 69 minutes. 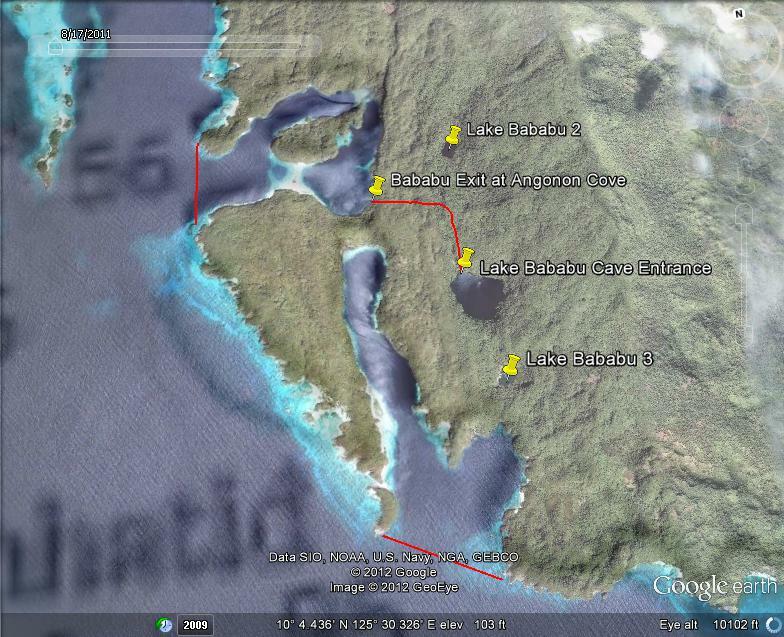 On Saturday (19 Jan 13), we traversed it again from the sea to the lake, this time in 57 minutes. On the last dive in the afternoon, we planned to dive the cave from the lake to the sea. The flow from the sea to the lake was pretty strong. We made an attempt but turned around. But from our tide tables, it should have been slack tide at about 4pm. So we dove again at 4pm and expected the current to turn soon. As we struggled, clawed, and guzzled air, we stopped for a moment to check our gas supply. It was just above 2/3 of our total supply. This was the point where we either commit to the traverse or turn back. We committed because we reasoned that the tide would turn soon. We soon reached a restriction point and took a detour. After the restriction, we were back on the line, we felt the current slowing down, and as we swam a little more, the current favored us. I thought, as did Daniel Burgaud, my buddy did: “At last we are going to be flushed out to the sea!” It was such a great relief! Next thing we knew, we were at the entrance, but something wasn’t quite right. The entrance glowed green instead of blue – the glow of a lake-side entrance. As I surfaced, we had indeed ended, mysteriously, back at the lake! I was puzzled. Even three hours later, the flow continued unabated from the sea to the lake. The waters defied the tide tables. Had we continued to swim against the current, we would have been pretty exhausted, and our gas supply would have been critical if not completely depleted. Local beliefs have indeed helped protect the lake from treasure hunters and commercial developers. 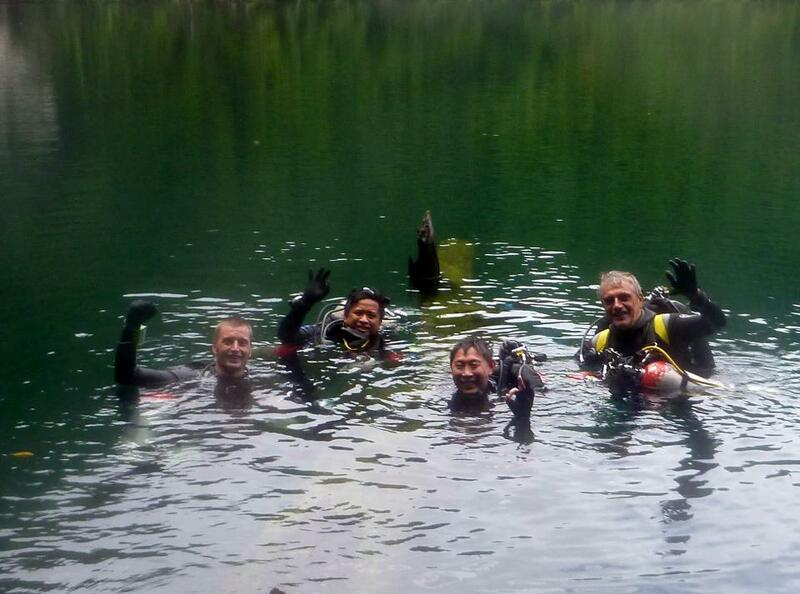 The cave divers have found three man-like stalagmites and a geometric-shaped slate inside the cave, just a few of several characteristics of the lake which amplifies its mystique. The Langit family who are now caretakers of the Lake, imposed a limit that only a one-way traverse is allowed per day, as they believed that the spirits living in the lake need not be tested. Cave diving, which is regarded as the world’s most dangerous and highly technical sport, seems to have met its match with the spirits of Lake Bababu. With special acknowledgement to Mayor Allan Ecleo, Municipality of Basilisa, and the Langit Family. 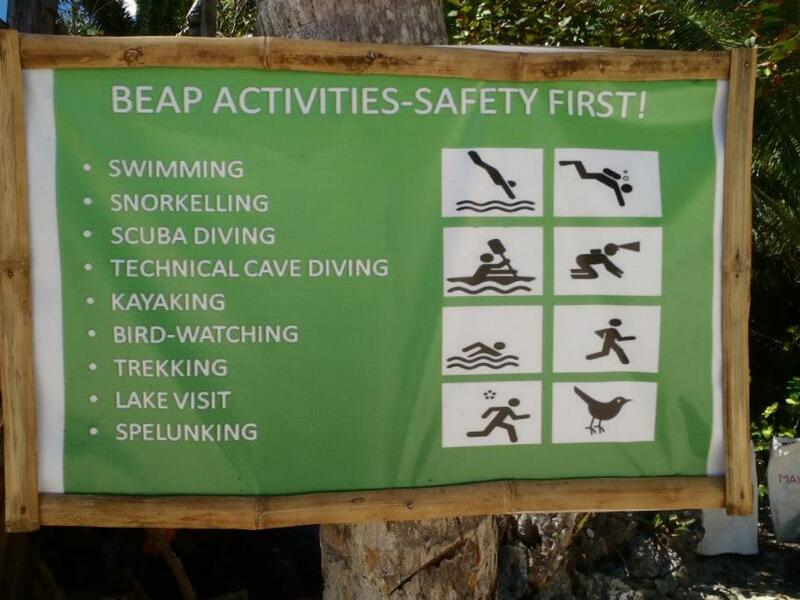 The Bababu ecosystem is under a public-private venture titled Bababu Ecotourism Adventure Park, which is presently led by Mayor Allan Ecleo, Municipality of Basilisa, and jointly administered by Mr. Rex Diaz, Basilisa Planning Officer, Mr. Jake Miranda of Punta Bilar Dive Center, and the Langit family. 1. Lake Bababu in Dinagat Island, in a karst landscape, has a dissolution cave tunnel from a freshwater lake (Lake Bababu) to the sea. During low tide, the water from the lake eases out to sea. The lake level goes down during low tide. During high tide it then goes back in. Thus it is important to plan the dive times with the tide. There is almost no wind so the freshwater and saltwater do not mix, thus it is called a “meromictic “ lake. 2. 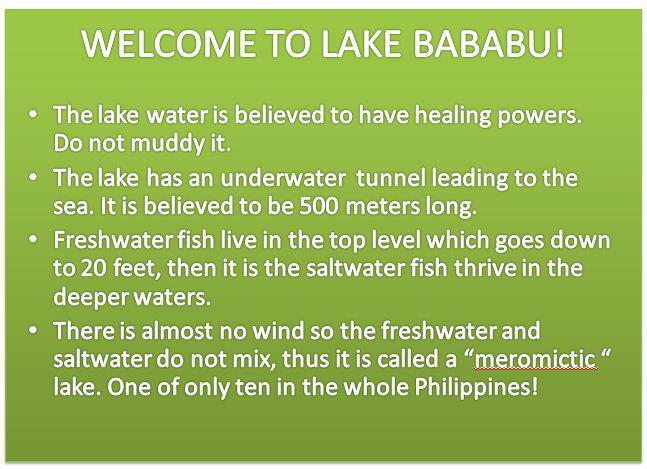 The Lake Bababu Underwater Cave entrance and exit is at N 10º04´31.6″, E125º30´30.8″.. the Kabun Cove entrance and exit is at N 10 04′ 45.8″, 125 30′ 18.8″ Bababu is 1.5 hour boat ride from Surigao City. 3. There is no visible air pocket or dry chamber along the 2,200 feet route.The cave goes as deep as 25 meters in some parts. The average depth is 14 meters. The average width is 3 meters and height is 4 meters. There are two chambers and four manageable restrictions. The bottom composition is ground coral, and the walls are limestone with encrusted marine life. 4. Special permission required thru local municipal office. The park is developing activities such as SWIMMING, SNORKELLING, SCUBA DIVING,TECHNICAL CAVE DIVING, KAYAKING, BIRD-WATCHING, TREKKING, LAKE VISIT and SPELUNKING. All diving operations and safety aspects is exclusively regulated by Punta Bilar Dive Center. Reblogged this on CHRONICLES of a FILIPINO CAVE DIVER.